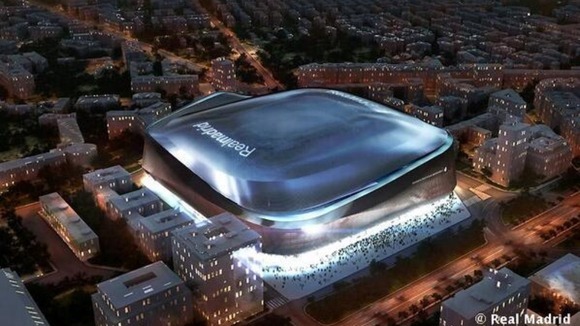 Real Madrid president, Florentino Pérez, together with the major of the Spanish capital, Manuela Carmena, have unveiled the new Santiago Bernabéu, a project that was already approved and we can see finished in the summer of 2022. The project will cost around €500M and it’s the main turning point in the history of the club since they moved to Valdebebas, leaving behind the old training fields of Ciudad Deportiva. The new stadium will be ready in 42 months and the works will start this summer. However, the competition won’t be affected because all the works will be done during summer time, when La Liga games are over. 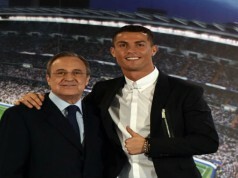 This will mean a change in the history of the club and the last stone in Florentino Pérez’s career, perhaps the best president in the history of the club who wants to leave also a new stadium as a legacy apart from the 5 Champions League titles in the museum. The new stadium will have a retractable roof and a 360 degrees scoreboard in the middle of the pitch. Also the whole stadium will be refurbished, giving more comfort to the supporters. There will be new shopping areas and leisure centres. Besides, we will see a different stadium from the outside, similar to a flying saucer, changing the sight of Paseo de la Castellana, the main road of the Spanish capital. For this reason the mayor said that Real Madrid generates “wealth and they give it back to the city”, backing this project. 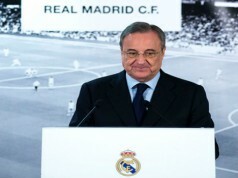 Florentino Pérez was also very happy speaking to the media: “We are in front of a big projects for the future of Real Madrid and the city”, the president commented. Although this project has created a lot of controversy due to its high cost and because some supporters blame Florentino Pérez for allocating more resources to the new stadium rather to the new signings, this could be a turning point in the club history. Real Madrid have the honour of owning a stadium in the centre of the Spanish capital, in one of the wealthiest areas of the city, something that not many big clubs can tell. Now we will enjoy a new brand stadium adapted to the 21st century. Will Florentino Pérez Sign a New Galáctico after the World Cup?